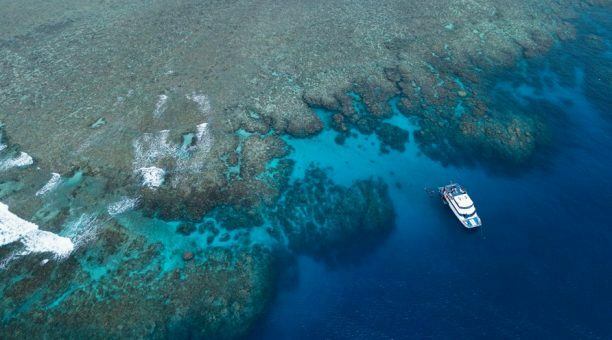 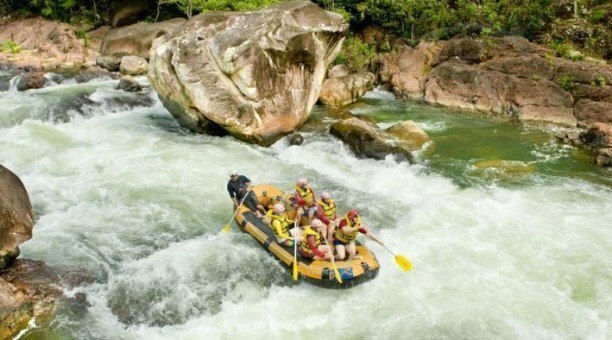 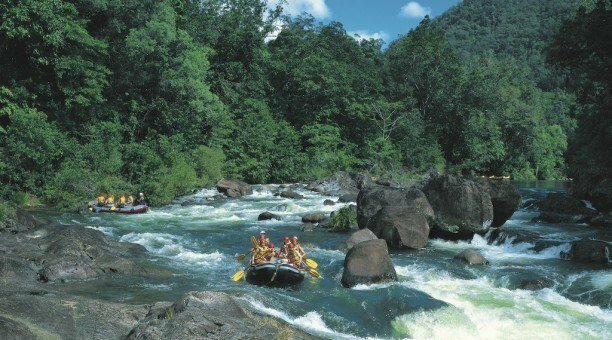 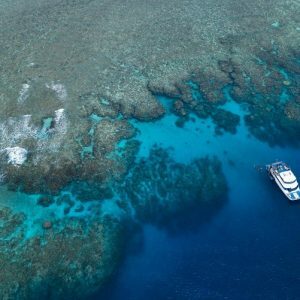 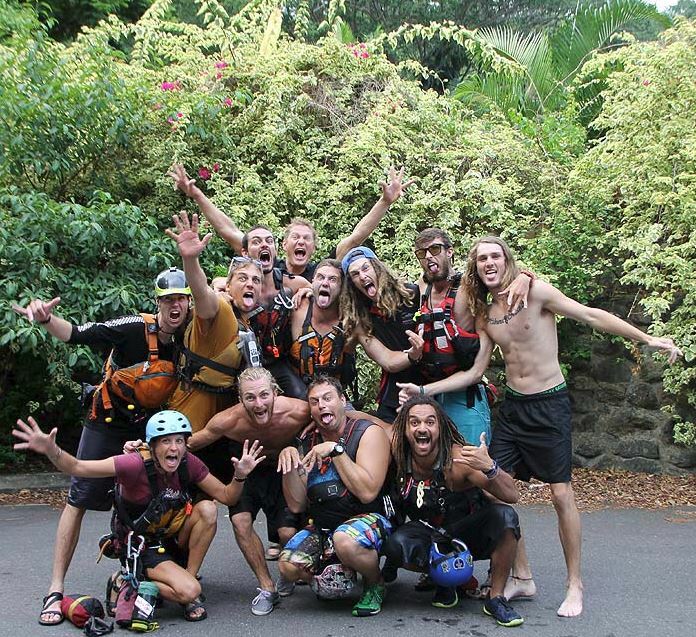 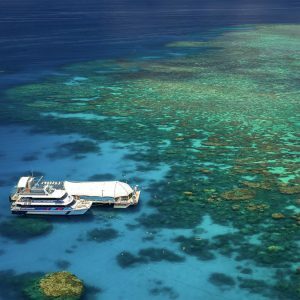 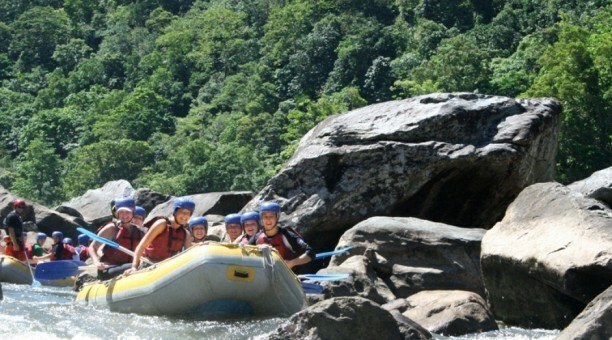 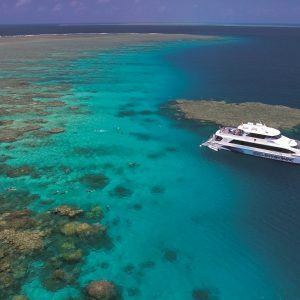 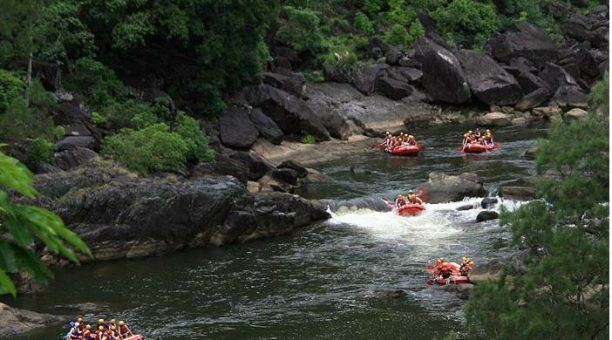 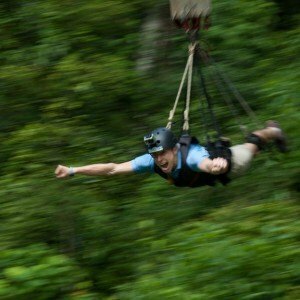 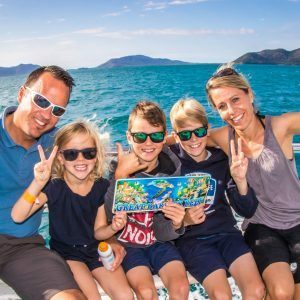 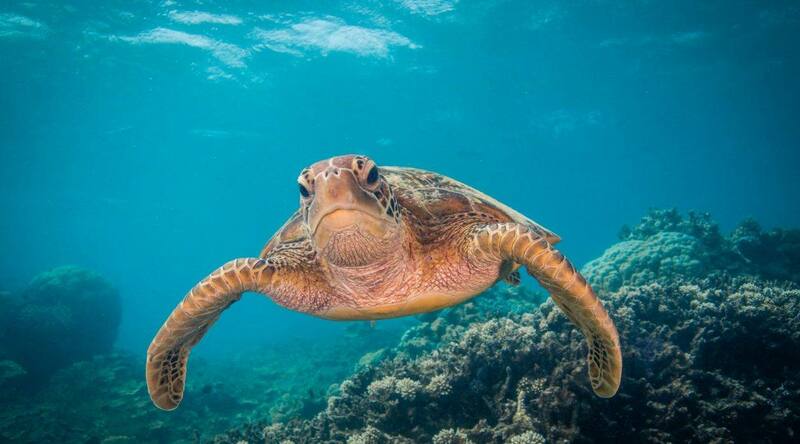 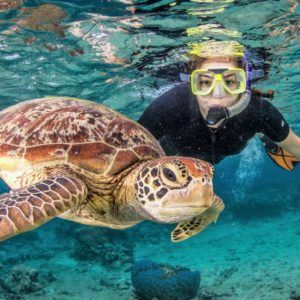 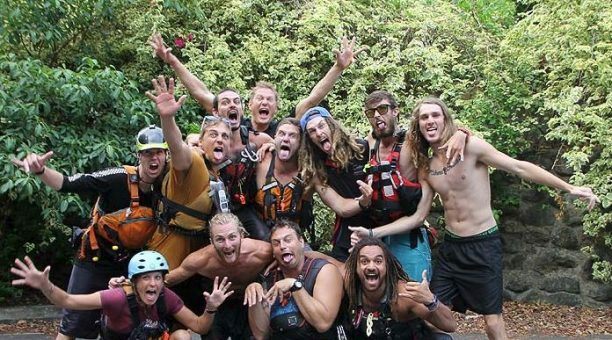 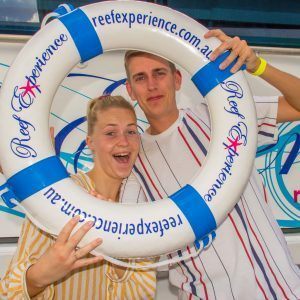 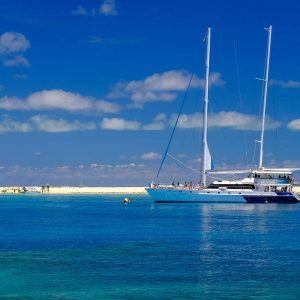 During you Reef and Rafting on a Budget 2 day package experience a full day on the Outer Great Barrier Reef, snorkelling amongst the beautiful corals and colourful tropical marine life of the Great Barrier Reef along with 2 hours of fun filled Whitewater Rafting on the Barron River. 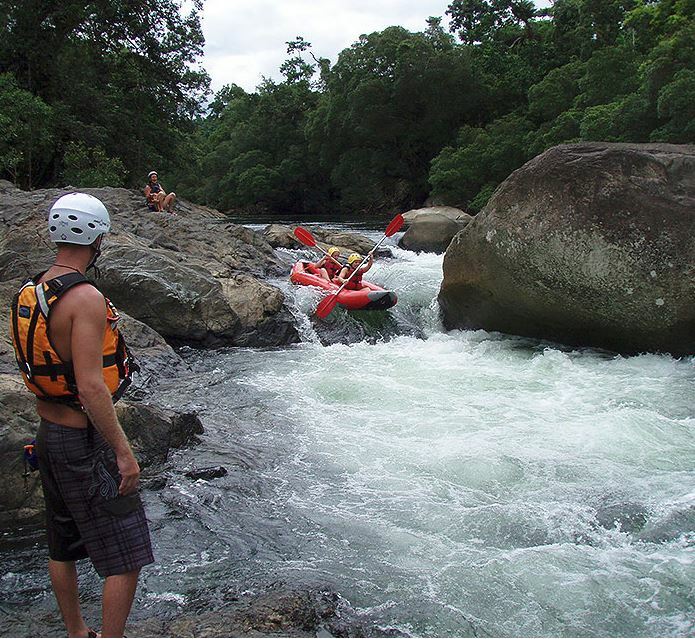 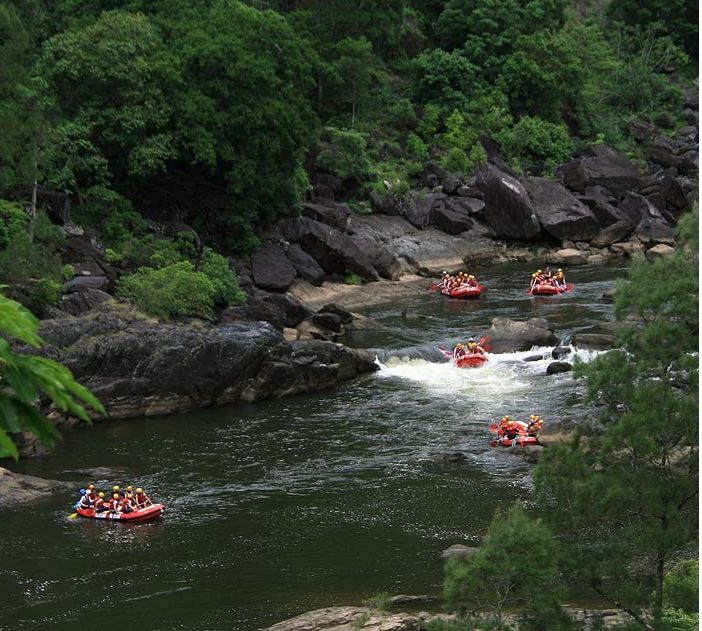 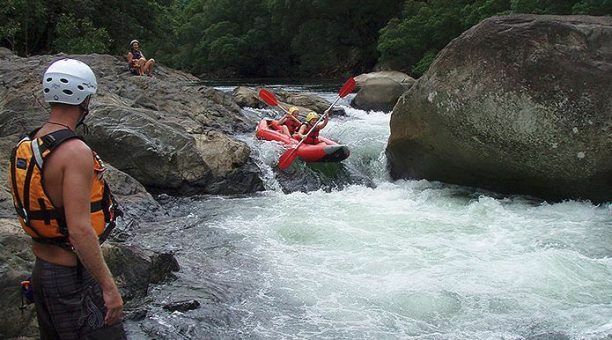 You will be alternating smooth and bumpy waters of the Barron river as it winds it way through the heart of the Barron gorge National Park. 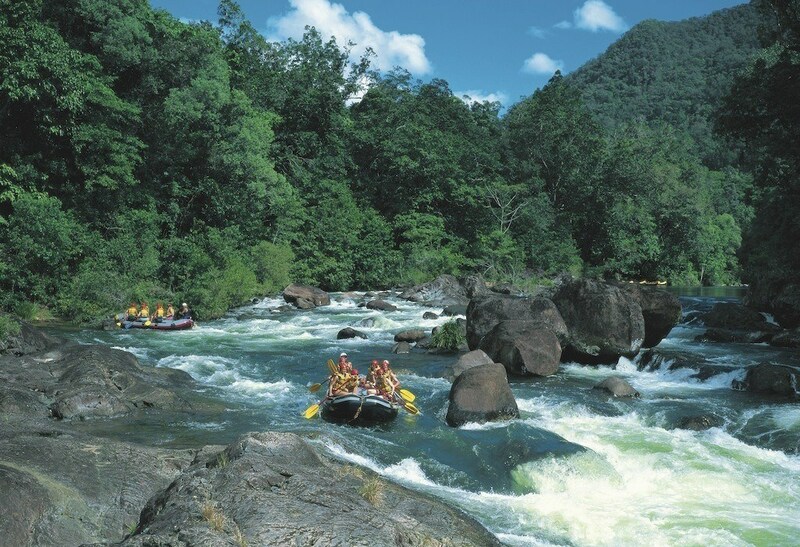 All the time being Guided by your experienced River Guide. 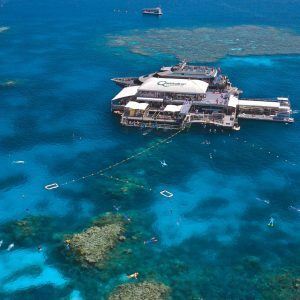 Snorkel amongst beautiful corals and a colourful variety of tropical marine life at one of the natural wonders of the world. 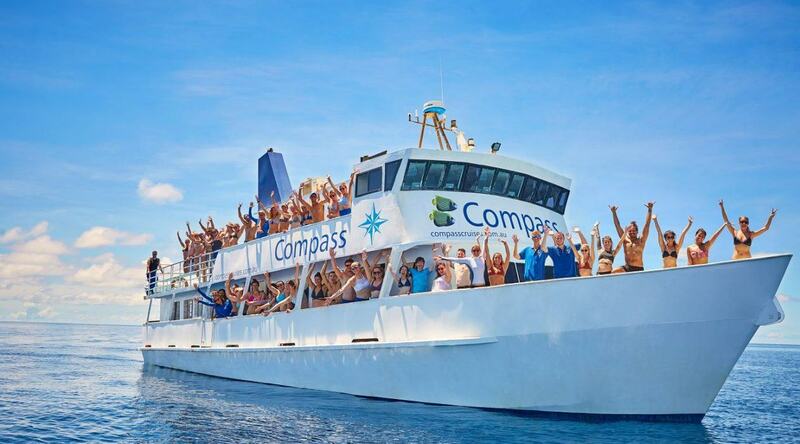 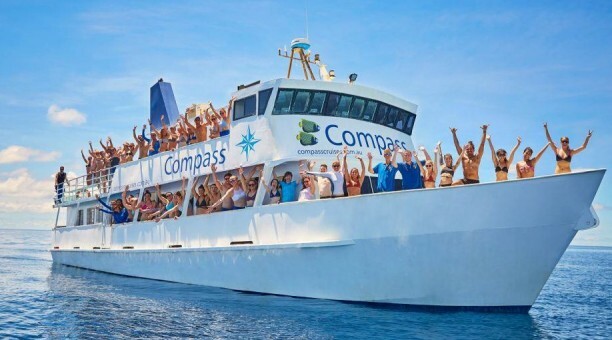 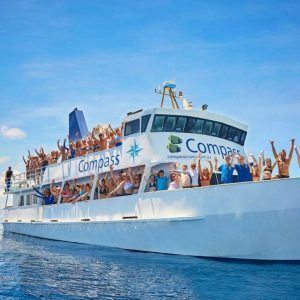 Relax on the huge sun deck, or take the “Wild Ride” on the famous Compass Boomnet. 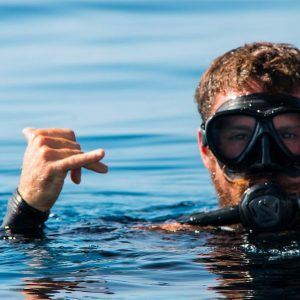 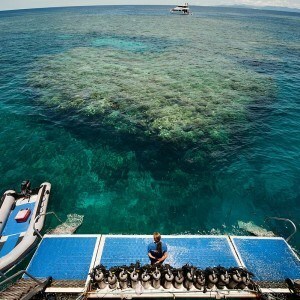 Scuba Diving is an optional extra in this tour. 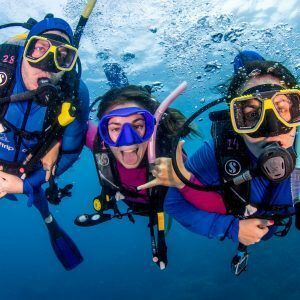 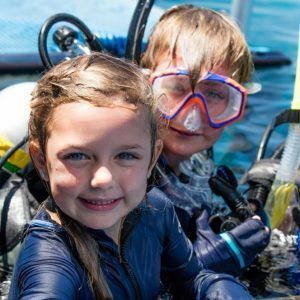 If you are considering scuba diving please be aware that some medical conditions and/or medications may prevent from participation in scuba diving activities. 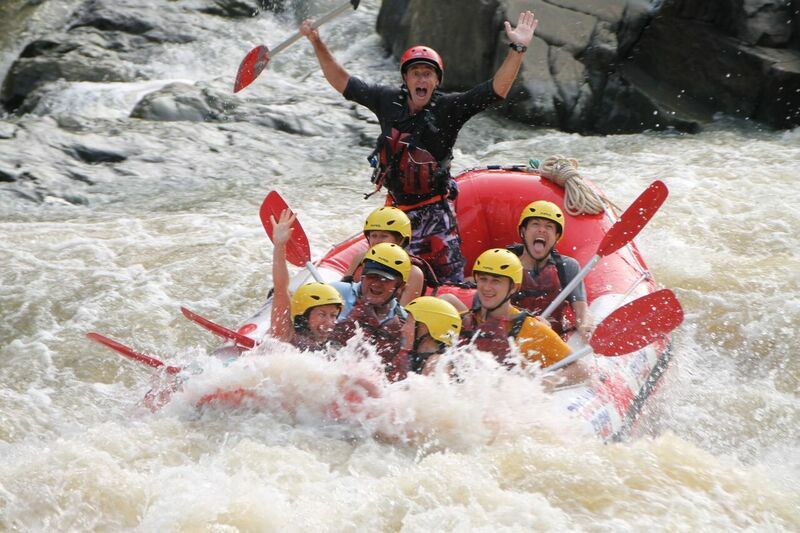 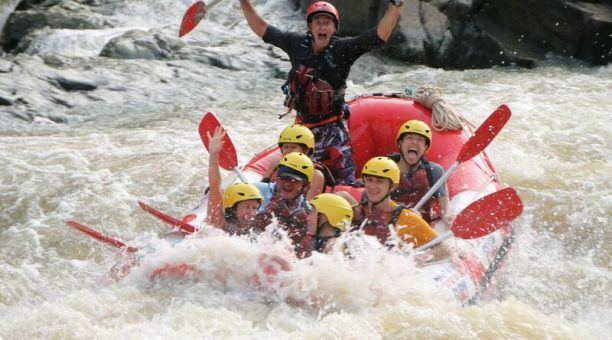 You will commence rafting with your personal guide and negotiate grade 2 to grade 3 rapids such as Cheese Churn, Hell’s Gate and Rooster Tail. 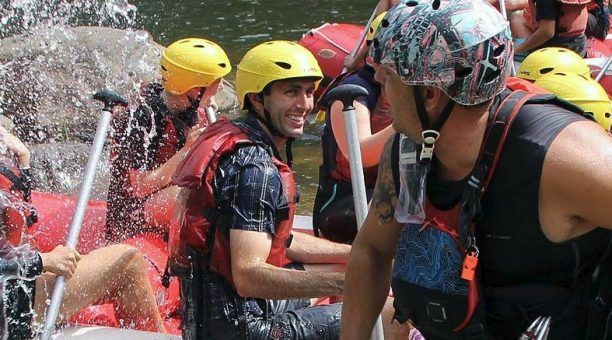 When finished, enjoy a swim, pack up your raft and change into dry clothes, then enjoy tea and coffee before transferring back to your accommodation.